The remarks from the party came two days after PM Narendra Modi targeted the Congress by accusing it of linking peace-loving Hindus to terrorism. 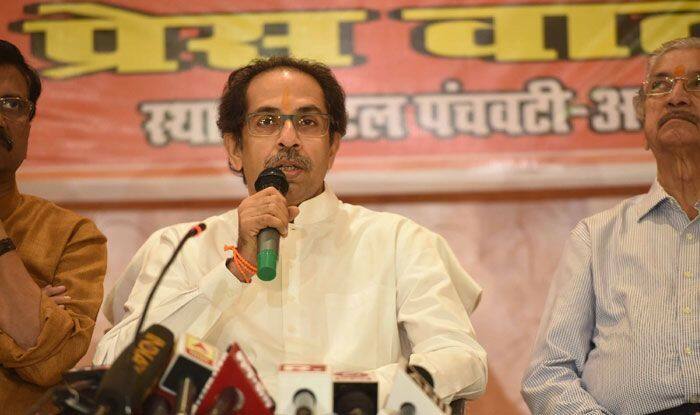 The Shiv Sena on Wednesday accused the Congress of spreading the phrase “Hindu terror” during its rule, saying it encouraged terrorists from Pakistan to carry out their activities in India. It also criticised former Jammu and Kashmir chief ministers Mehbooba Mufti and Omar Abdullah over their stand on Article 35-A of the Constitution, saying if such voices are not curbed, the border state will remain in the grip of unrest and instability. Petitions have been filed in the Supreme Court, challenging the constitutional validity of Articles 370 and 35-A, which grant special status to Jammu and Kashmir and special rights and privileges to its “permanent residents”, respectively.